Mumbai-based mobile games developer Nazara Technologies Ltd has acquired a 27.42% minority stake in digital entertainment company Crimzon Code, the company said in a statement. With this acquisition, Nazara will offer real money quizzes, where users can win money by answering questions on a live quiz, the statement added. As part of the deal, Nazara will also publish Crimzon Code’s flagship quiz game, TopQuiz, across emerging markets. “Quizzing has been very popular with Indians and is a source of clean fun and a booster for self- pride, cutting across age groups, gender and socio-economic class,” Manish Agarwal, co-founder and chief executive of Nazara Technologies said in the statment. Mumbai-based Crimzon Code, operated by Jatia Education Pvt Ltd, was founded in 2017 by Devavrat Jatia. According to the firm’s LinkedIn page, the company runs two brands: TopQuiz and Brainnr. The former is an entertainment quiz app where users can play trivia quizzes and win real money on a variety of topics that include Bollywood, cricket and brand logos among others. “Quizzing combined with real money has immense potential. Skill-based game play around quizzing is deeply embedded in the DNA of Indians. We believe that having the backing of Nazara will provide us with a springboard to launch real money quiz in 61 countries across emerging markets,” Jatia, CEO of Crimzon Code stated. TopQuiz has scaled to over five lakh users in a span of six months. It claims to have currently over one lakh monthly active users who engage for over 15 minutes on the application per session. Most of its users are from Tier-2 and Tier-3 cities and the company intends to scale this to a larger number within India and other emerging markets. Its other brand, Brainnr, is an educational app that helps students in the CBSE, ICSE and IGCSE curriculum improve their knowledge on various topics. The app offers multiple choice questions segregated based on the topic and curriculum which are freshly created by certified examiners across India. This is not the first time that Nazara has acquired or invested in other gaming firms. 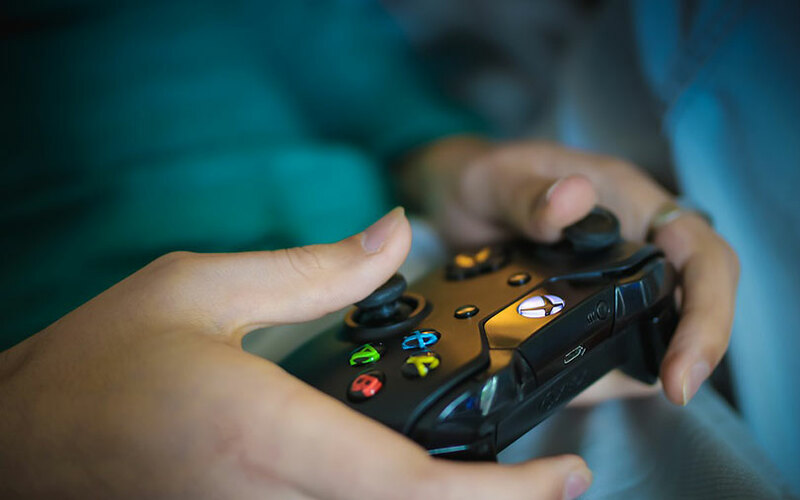 In January this year, it picked up majority stakes in Gurgaon-based e-sports platform NODWIN Gaming and Chennai-based gaming company Nextwave Multimedia. In November last year, it had invested an undisclosed sum in Mumbai-based fantasy sports platform HalaPlay along with Kae Capital. In August 2017, it had backed Noida-based Moong Labs Technologies Pvt. Ltd, a developer of 3D cricket simulation games. In April 2016, it had picked up a 26% stake in London-based mobile gaming studio Mastermind Sports Ltd and had invested an undisclosed sum in London-based mobile games studio TrulySocial. Nazara, which is looking to go public, received an approval from markets regulator Securities and Exchange Board of India to float its initial public offering in April this year. When its IPO debuts, it will become the first Indian gaming firm to tap the public markets. In November 2016, VCCircle was the first to report the company’s public market listing plans and was seeking a valuation of $500 million from the IPO. A report in The Economic Times said that Nazara is expected to make its IPO during the FIFA World Cup 2018. Established in 1999 by Nitish Mittersain, Nazara started doing well after the dot-com bust in 2003 and subsequently raised a little over $100 million from investors that include WestBridge Capital, India Infoline, Sequoia Capital, Emerging Investment Partners, India Infoline and ace stock market investor Rakesh Jhunjhunwala among others. WestBridge owns a majority stake in the firm after factoring in the convertible preference shares it holds, according to VCCEdge, the data research platform of News Corp VCCircle. The company is engaged in acquiring mobile games across emerging markets such as India, West Asia, Africa, Southeast Asia and Latin America. Its projects range from value addition to distribution, while its operations comprise subscription, freemium and e-sports businesses. Nazara caters to 130.43 million monthly visitors from across 61 countries, besides having more than 4.08 million paid subscribers as of September 2017. The company claims over 37.62 million downloads. Its freemium business saw 44.49 million downloads till September 2017.